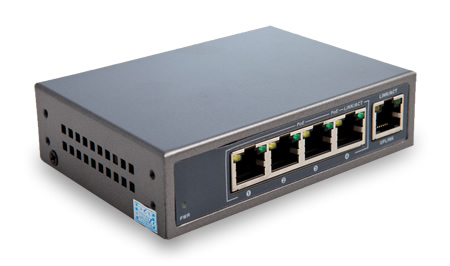 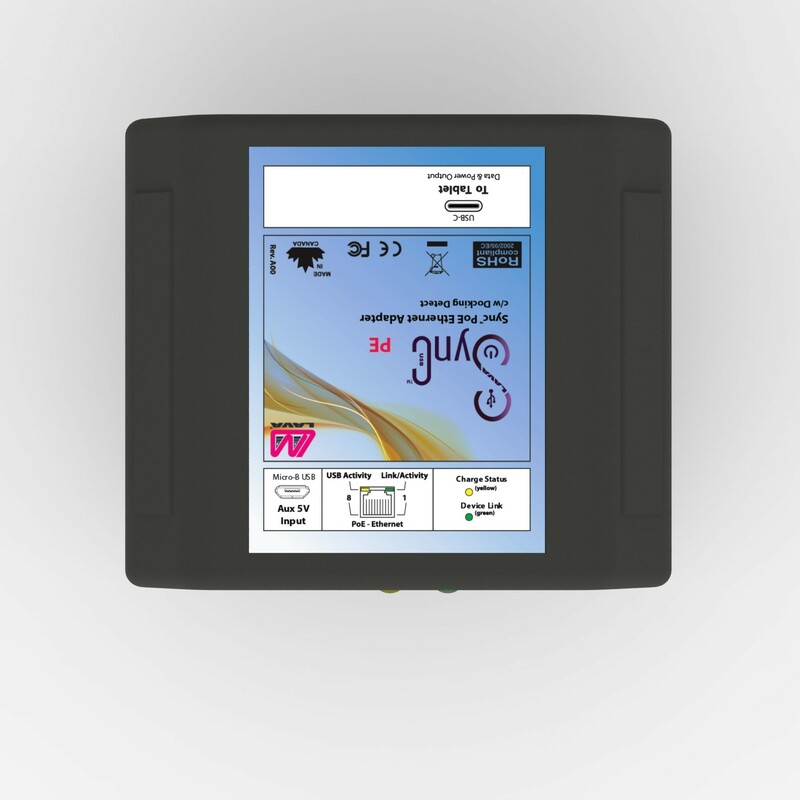 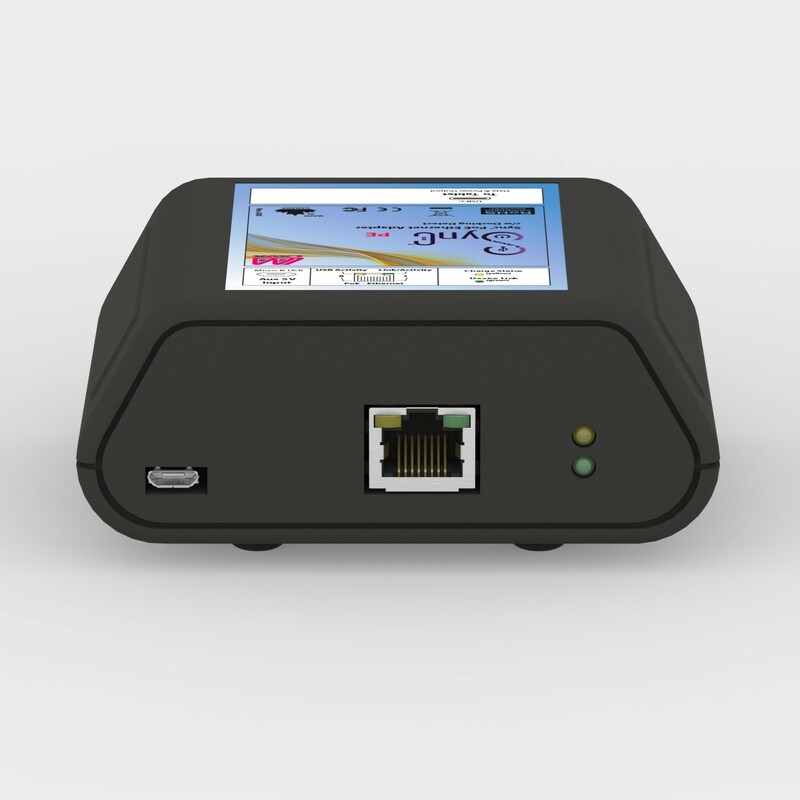 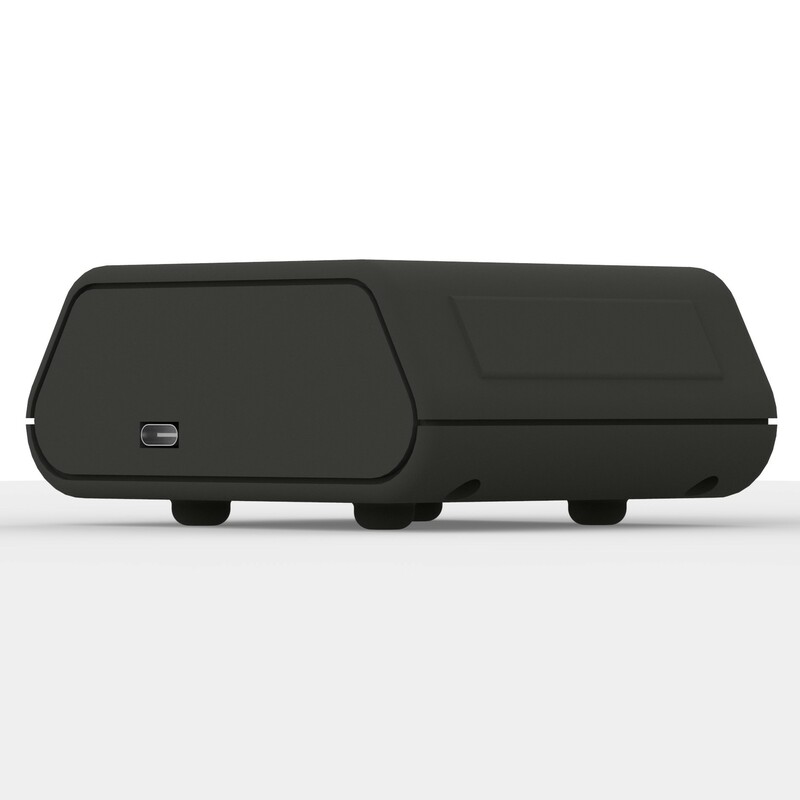 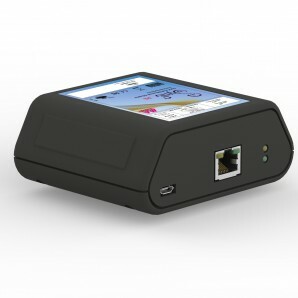 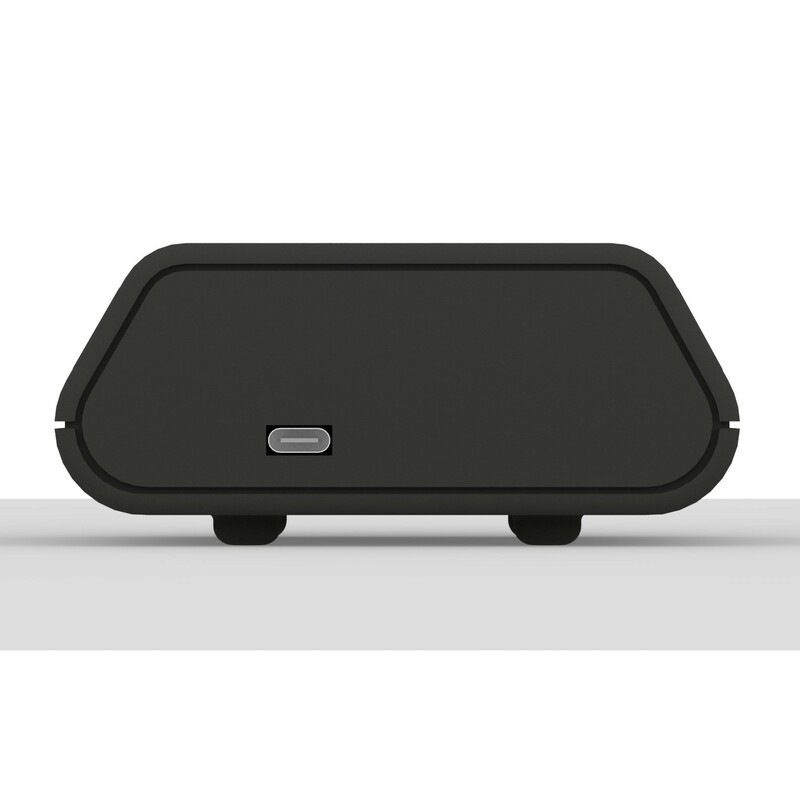 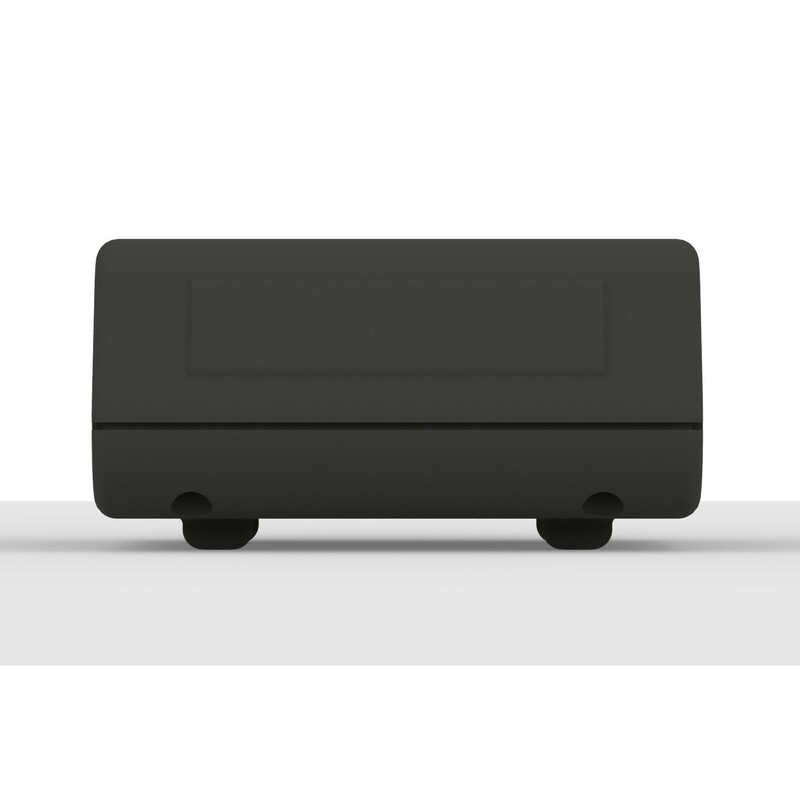 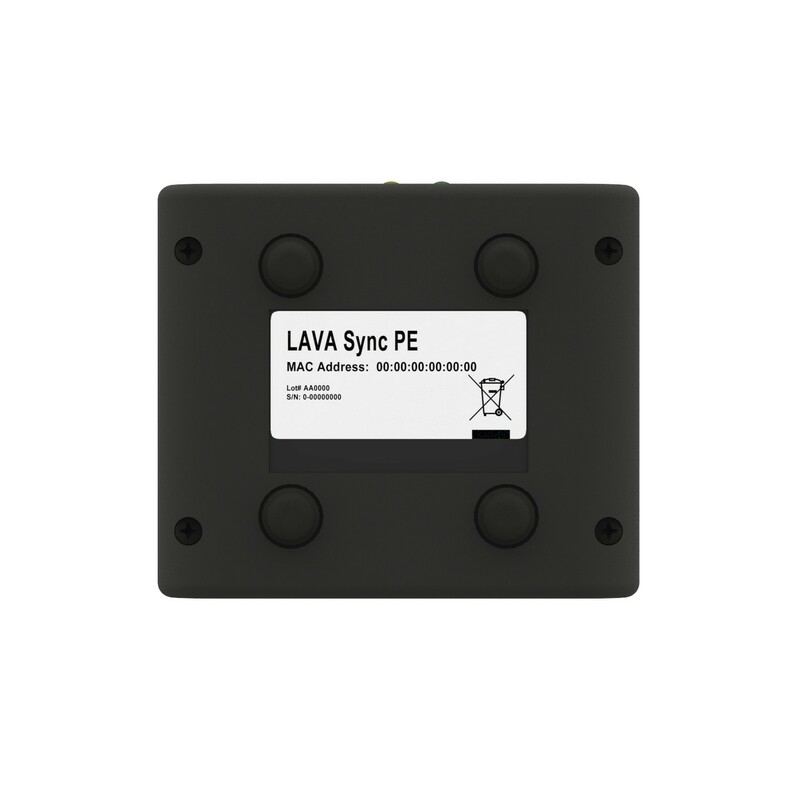 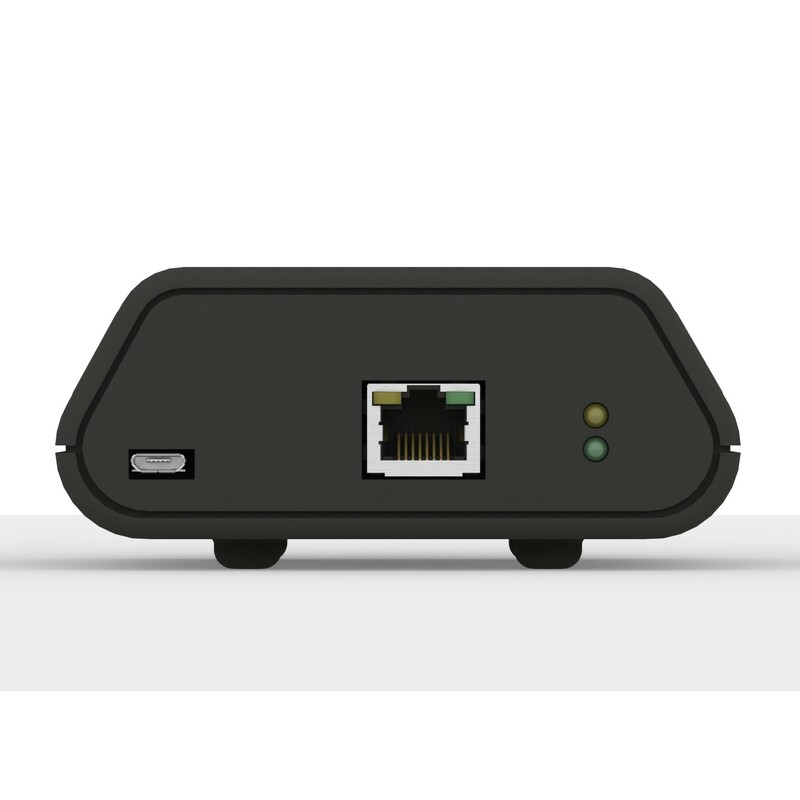 The Lava SynC PE: Ethernet Adapter connects via USB-C to provide both Ethernet and 10.4 Watts of charging power at the same time (data + power), from a single CAT5/5e/6 Ethernet cable connected to a PoE-enabled switch. 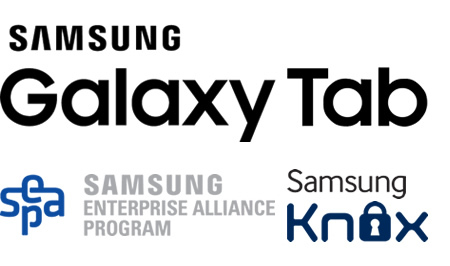 The Lava SynC PE ethernet adapter combo was developed with Samsung Knox in coordination with the Samsung Enterprise Alliance Program (SEAP). 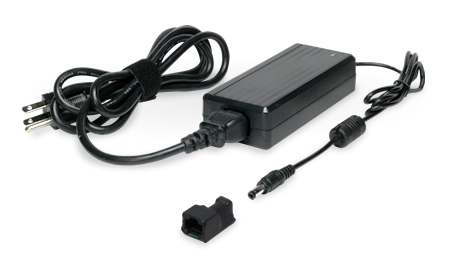 This adapter uses the Samsung SDK to provide government grade security for your Samsung Galaxy device. 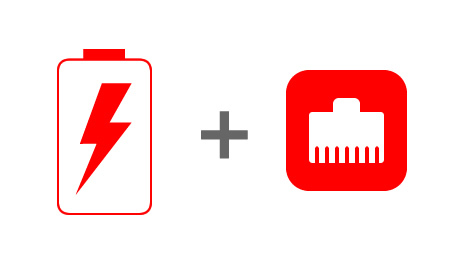 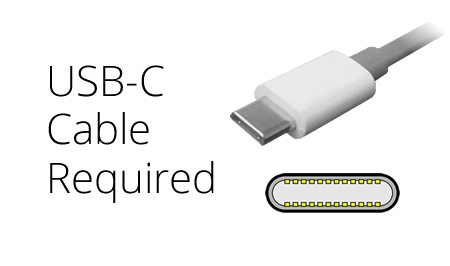 The adapter connects to your Samsung / Android device using a separate (not included) USB-C cable. 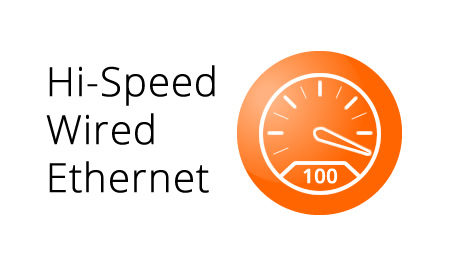 Maximum cable length supported is up to 6.6 feet [2m] long. 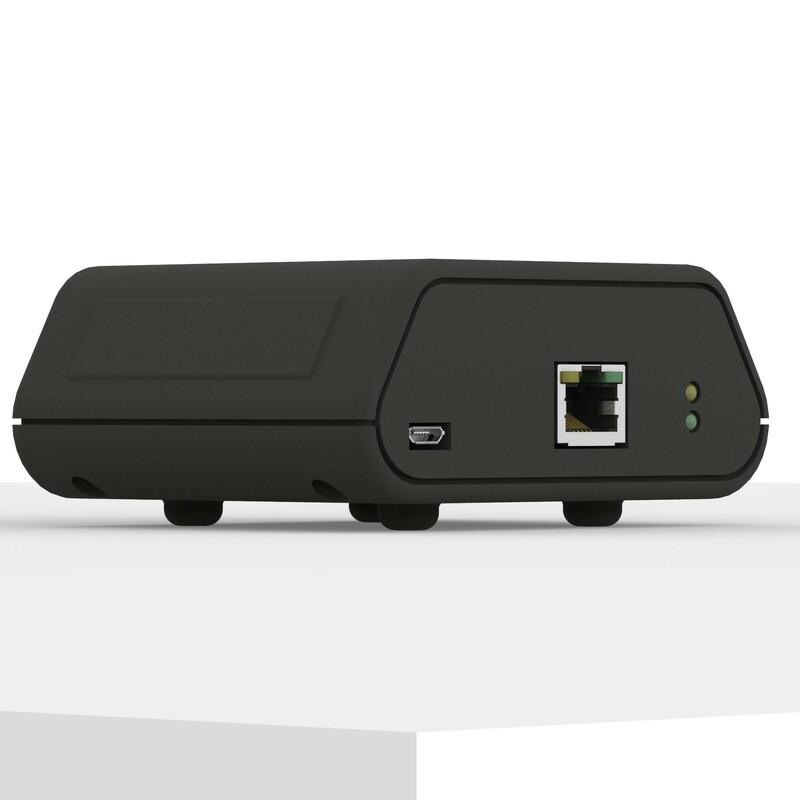 The cable would carry data & support 10/100 Ethernet networking and provides bandwidth up to 100 Mbps.